Read the updated GreenGrid Project Press Release here. 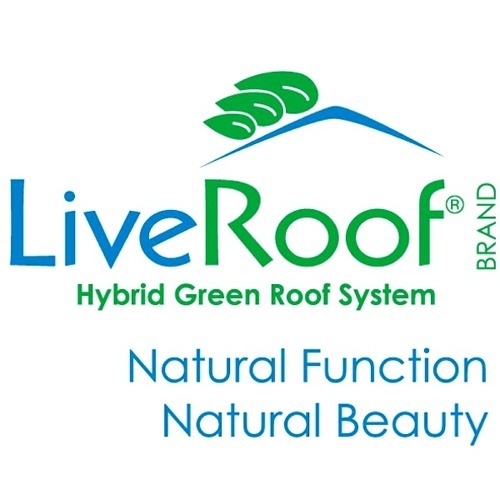 Learn more about GreenGrid in The Greenroof Directory here, and see the original GreenGrid profile from their website here. The American Red Cross of Greater Chicago (ARCGC) cut the ribbon on its brand new Rauner Center in June 2004. The new Rauner Center is the ARCGC?s new state-of-the-art command center designed to enhance disaster response capabilities statewide. The new facility will serve the more than 8.1 million people in Illinois? Cook, Lake, Kane, Kendall, DuPage, McHenry, and Will Counties.The Rauner Center, located west of the Loop in the Illinois Medical District, is now part of a 24-hour, 7-day-per-week campus of facilities that includes the new John Stroger Cook County Hospital, the University of Illinois Medical Center at Chicago, the Rush Presbyterian-St. Luke’s Medical Center, and Chicago’s 311 information center. It is adjacent to the University of Illinois at Chicago. The 57,450 ft2 structure was designed by architects Perkins & Will. Julian J. Studley & Co. managed the project, and Power Construction was the general contractor. The new facility was funded through contributions to the Chapter’s campaign: Here. Now. Building for Tomorrow. The State of Illinois was so impressed with the Red Cross? Green roof that it granted $75,000 toward its construction. ? [The energy savings] with the Green roof will help strengthen the Red Cross? ability to provide invaluable assistance to the people of Illinois,? says Illinois Governor Blagojevich. When the Red Cross built their Chicago Disaster Operations Center, they wanted a building as energy efficient as possible. The goal: minimize the amount of money it takes to operate the facility so more funds can be devoted to health and safety programs and handling emergencies. In their plans, developers incorporated several innovative Green designs and features. For instance, the lobby atrium and a third floor conference room was designed to take advantage of natural lighting to help reduce heating and energy needs. In addition, the selected exterior bricks, windows, and even curtain wall systems feature materials that retain heat in the winter and stay cool in the summer?again, in order to minimize heating and cooling costs.To complement the beautiful headquarters building, a 2,800 ft2 GreenGrid? green roof was installed on 1/3 of the new building?s roof surface. Plans are in place to complete the entire roof as funding becomes available. The 2,800 ft2 GreenGrid? green roof was completed in two days. The 350 GreenGrid? Extensive Modules were planted with a Sedum mix containing Sedum kamtschaticum, Sedum rupestre ?Foresteranum?, and Sedum floriferum ?Bailey?s Gold?. After completion, the green roof was dedicated as a commemorative garden to the Honorable Mayor Richard M. Daley.